NORWAY -- Mr. John Robert Fort, of Norway, passed away on Friday, Feb. 8, 2019, at Lexington Medical Center. Mr. Fort was born on Oct. 3, 1938. He was the son of the late Robert and Emma Lou Fort. He was retired from American Koyo Corporation. He loved hunting, fishing and spending time with his family and friends. He was a member of Willow Swamp Baptist Church. He was predeceased by a brother, James Clarence Fort. Funeral services will be held at 12 p.m. on Monday, Feb. 11, 2019, at Willow Swamp Baptist Church. The Rev. Jimmy Brown and the Rev. Ben Harr will be officiating. Burial will follow at Willow Swamp Baptist Church Cemetery. The family will receive friends from 11 a.m. to 12 p.m. prior to the funeral service at Willow Swamp Baptist Church Social Hall. Pallbearers will be Clete Fort, William Fort, Kyle Ridgway, Gabe Fort, Robert Lynn Fort, Hugh Fort, David Fort and Ron Phillips. Honorary pallbearers will be Wady Zissett, O.W. Whetstone and Charles Garrick. Survivors include his loving and devoted wife of 58 years, Norma Fort; one daughter, Pam and Keith Ridgway of Lexington; two sons, William Fort of Norway, Clete and Maria Fort of Las Vegas, Nevada; three granddaughters, Katie Ridgway, Maddey Fort, Abigail Fort; three grandsons, Kyle Ridgway, Gabe Fort, Eric Fort; two great-grandchildren, Bailey Rae, Travis; one sister, Gayle Carter of Norway; sister-in-law, Margaret Ann Fort and a special four legged “daughter” Sissy. St. MATTHEWS -- Mrs. Nannie S. Robinson, 75, of 225 Myers Lane, St. Matthews, passed away on Friday, Feb. 8, 2019, at Providence Health in Columbia. Friends may call the residence of her husband, the Rev. Cecil Robinson of 225 Myers Lane, St. Matthews, or Simmons Funeral Home and Crematory of Orangeburg. 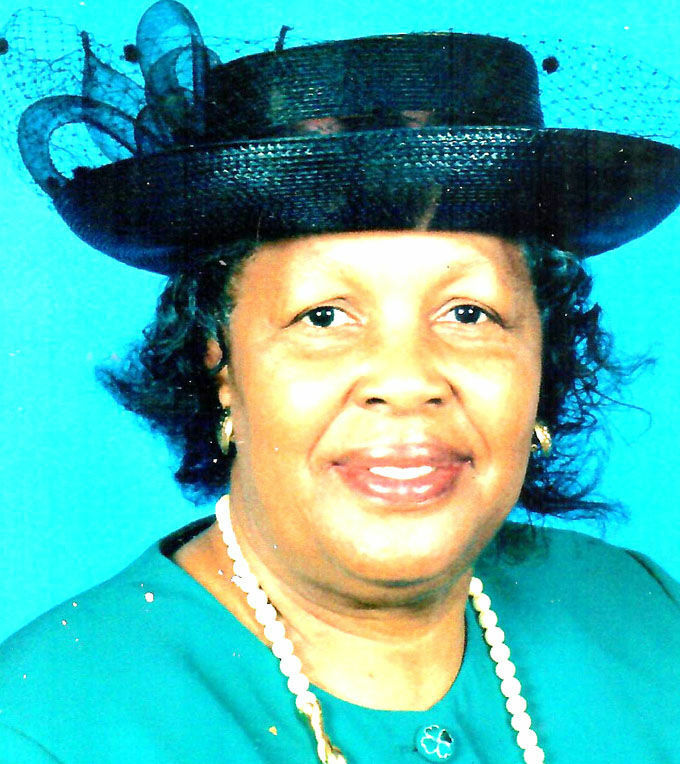 BOWMAN -- Ruby Davis Natt, 86, passed away on Feb. 6, 2019.
at Shady Grove UM Church, 9221 Charleston Highway, St. George. Burial will be at the church cemetery. Services are entrusted to Brown & Son Funeral Home, 5901 West Jim Bilton Boulevard, St. George SC 843-563-4332. ORANGEBURG -- Mark Anthony Mason, 50, of 220 Eastwood Circle, passed Feb. 9, 2019, at the residence. ELLOREE -- Frances Texas "Frank" Smith, 91, of Elloree, wife of William E. "Bill" Smith, died Friday, Feb. 8, 2019, after an extended illness. The funeral will be held at 11 a.m. Monday, Feb. 11, 2019, at Jerusalem United Methodist Church of Elloree, with the Rev. Kenneth Phelps officiating. Visitation will be from 10 to 11 a.m. prior to the service. Pallbearers will be Paul O'Cain, Ken Woody, Bill Barlow, Kelly Ulmer, Freddy Griffin and Johnny Browning. Mrs. Smith was born Oct. 3, 1927, in Elloree. She was the daughter of the late Thomas Mellichamp and Louella Jones Shuler. Before retirement she worked as a supervisor in the garment industry in St. Matthews and Elloree. She was a graduate of Elloree High School and was a star basketball player during her school years. She was also a member of the Eastern Star and Jerusalem United Methodist Church of Elloree. She is survived by her husband, William E. "Bill" Smith fo Elloree; and her son, Donald E. "Donnie" Smith of Elloree. COLUMBIA -- Minister James Jeffcoat Sr., 91, of Columbia, passed away Saturday, Feb. 9, 2019. BAMBERG -- Ray Charles Wright, 63, of 137 Crouch Circle, died Saturday, Feb. 9, 2019, at tRMC. Funeral services will be announced at a later date by the Carroll Mortuary of Bamberg. OLAR -- Funeral services for Charles Lloyd Platt, 80, of Olar, will be held at 3 p.m. Sunday, Feb. 10, 2019, at First Baptist Church of Olar, with Dr. Andy Sandifer, the Rev. Dale Hutto and Dr. Kenneth Cato officiating; burial will be in the church cemetery. The family will receive friends at the church on Sunday one hour prior to the service. Memorials may be sent to First Baptist Church of Olar, c/o Walter O'Rear, P.O. Box 142, Olar, SC 29843; to Govan First Baptist Church, c/o Alice P. Johnson, P.O. Box 847, Denmark, SC 29042; or to Jefferson Davis Academy, 5061 Hilda Road, Blackville, SC 29817. Charles passed away Thursday, Feb. 7. Born in “Plattsville” in Denmark, he was a son of the late Charlie F. Platt and Elizabeth A. Platt. He was a member of First Baptist Church of Olar, where he served as a deacon. He retired from Milliken as a maintenance chief, having worked for 42 years. He was a staff sergeant in the Air National Guard, where he was in the 169th Fighter Squadron for 13 years. He was deployed to Roda, Spain, in 1961-62 during the Berlin Crisis. He was a member of the Govan Hilltoppers Group and the Olar Fire Department. He was an avid and prepared hunter and fisherman who never left home without his snacks. Charles was a devout Christian man who was the most accommodating and dependable brother, husband, father and grandfather and whose family will miss him greatly. Survivors include his loving wife of 62 ½ years, Harriett Morris Platt of the home; son Ricky Platt (Col., Ret., SCNG) of Alexandria, Virginia, and his fiancée, Tonya Hudson of Hilton Head Island; daughters Pam (Don, “P-nut”) Williams of Barnwell; adopted daughter Tammy Smith; grandchildren Brett Williams, Sara Mary Platt, Libby Platt and Charlie Platt; sisters Barbara (Asa) Way and Alice P. Johnson, both of Denmark; nieces Lynn W. (Todd) Cook and Dawn J. (Matt) Morris; and nephew Dean (Brent) Johnson. He was preceded in death by his brother-in-law, N.L. Johnson. Folk Funeral Home, Denmark is assisting the family with arrangements. Visit our online registry at www.folkfuneralhome.com. ORANGEBURG -- The funeral for Mary Jamison Haynes, 83, of 363 Jamison Ave., will be held at 1 p.m. Sunday, Feb. 10, 2019, at Old Mt. Zion Baptist Church, 228 Maxcy St., with the Rev. Lewis Grant, pastor, officiating. Burial will be in Belleville Memorial Gardens. Ms. Haynes passed Feb. 2, 2019, at the residence. Ms. Haynes will be placed in the church one hour prior to the service. Public viewing will be held from 2 to 6 p.m. Saturday, Feb. 9, 2019, at Al Jenkins Funeral Home of Orangeburg. WAGENER -- Wyman L. "Bud" Gleaton Jr., 71, passed away on Friday, Feb. 8, 2019, at his home in Wagener. Funeral services will be held at 2 p.m. Tuesday, Feb. 12, at Thompson Funeral Home Chapel in Orangeburg. Dr. John Hucks and Dr. Vic Reasoner will be officiating. Burial will be in Memorial Park Cemetery. Mr. Gleaton was born on May 19, 1947, in Orangeburg. He was the son of the late Wyman L. Gleaton Sr. and the late Joella Hoffman Gleaton. He was a graduate of Orangeburg High School Class of 1965, after which he attended Southern Methodist College. He joined the U.S. Navy, where he served as a radio operator during the Vietnam era. He and his father operated Marine Sales and Service, the largest single store Evinrude dealership on the East Coast for many years. In 1984, he went to work for the Savannah River Site, where he rose to the director of emergency preparedness and later retired. He also owned and operated a successful mobile home supply business in Orangeburg. He enjoyed operating ham radios, hunting and fishing for over 60 years. Pallbearers will be Wyman Gleaton III, Robert Gleaton, Walter Smoak, Jimmy Gleaton. Walt Ginn and Andrew Derinzo. Survivors include a daughter; Connie Beth and Walter Smoak of Lexington; two sons, James and Tonya Gleaton of Lexington, Wyman (Lee) and Elaine Gleaton III of Florida; six grandchildren, Robert Gleaton, Patrick Gleaton, Kaitlin Metts, Amber Metts, Chanse Gleaton and Anistyn Gleaton; one brother, Barry W. Gleaton of Orangeburg. Visitation will be held from 6 to 8 p.m. Monday, Feb. 11, at Thompson Funeral Home in Orangeburg. The family would like to thank Halcyon Hospice of Aiken for all their love and support. ORANGEBURG -- Mr. Emory Fletcher Connelly, 87, passed away Tuesday, Feb. 5, 2019. Funeral services will be held at 2 p.m. Sunday, Feb. 10, at Northside Baptist Church, 1250 Columbia Road, Orangeburg. Burial will follow in Crestlawn Memorial Gardens. Dr. Shane Stutzman will be officiating, directed by Thompson Funeral Home in Orangeburg. Pallbearers will be Senior Chief Ronnie Blevins, Steve Cumbee, Reeves Connelly, Zachary Connelly, Logan Gunter and Keith Stillinger. Honorary pallbearers will be the Cornerstone Sunday School Class from Northside Baptist Church. A visitation will be held from 5 to 7 p.m. Saturday, Feb. 9, at Northside Baptist Church. Mr. Emory was born Aug. 5, 1931, in St. George. He was the son of the late Julius E. Connelly and the late Mary Louise Weathers Connelly. He served in the United States Army National Guard. Mr. Emory retired from Santee Cooper after 37 years, where he started as a lineman and worked his way to district supervisor. He was a member of Northside Baptist Church and the Cornerstone Sunday School Class. He was also a member of Masonic Lodge #357. He was predeceased by a brother, Jerome Connelly, and a son-in-law, Mike Creech. Survivors include his wife of 65 years, Thelma Ayers Connelly; children Jane Teague (John) and Sue Creech, both of Orangeburg, Rodney Connelly (Cindy) of Cope, Wes Connelly (Dr. Karen) of Orangeburg, and Emory Connelly (Jill Duke) of Easley; 13 grandchildren; 15 great-grandchildren; sisters Barbara Kizer, Mary Ellen Wimberly and Dixie Whetsell; brother Robert Connelly (Mildred); sister-in-law Bonnie Connelly; and a number of nieces and nephews. Memorials may be made to Northside Baptist Church Mission Team, 1250 Columbia Road, Orangeburg, SC 29115. BAMBERG -- Mr. James Edward Darnell Sr., 80, of Bamberg, passed away Thursday, Feb. 7, 2019. Funeral services for Mr. Darnell will be held at 3 p.m. Sunday, Feb. 10, at Bamberg First Baptist Church, 11823 Heritage Highway, Bamberg, with the Rev. Charlie Lucas and the Rev. Brad Hudson officiating. Burial will follow in Bamberg County Memory Gardens. The family will receive friends at the church from 2 p.m. until the hour of service. He was born in Bamberg on Aug. 15, 1938, to the late Charlie Horace Darnell and the late Marie Tant Darnell. He was married to the love of his life, Mrs. Rebecca “Becky” Darnell, for 57 years. He was a lifelong member of Bamberg First Baptist Church. He was retired from the United States Air Force as a medic in the Vietnam War and hospital administrator. He loved God, his family and his dog Oreo and loved to work in his yard. He is survived by his wife Becky; children June (Bobby) Kemp of Bamberg, James E. (Beth) Darnell Jr. of Boerne, Texas, and Marie Darnell and David (Hilary) Darnell, both of Greenwood; grandchildren Mason and Conner Darnell, of Boerne, Texas, Hailey, Logan and Perrin Darnell of Greenwood, Warren (Faith) Armstrong of Mount Pleasant, Samantha Armstrong (Joe Thoensen) of Columbia, Maddie Kemp of Bamberg, Lissa (Jason) Myers of Isle of Palms, and Carroll Kemp Brabham of Bamberg; and great-grandchildren Anna Grace and Brayden Brabham and Watson and Avery Myers. He was predeceased by his brother, Charles Darnell, and a granddaughter, Rowan Darnell. Memorials can be sent to Connie Maxwell Children's Home, P.O. Box 1178, Greenwood, SC 29648-1178; or to Bamberg First Baptist Church, P.O. Box 355, Bamberg, SC 29003. Cooner Funeral Home LLC, 287 McGee Street Bamberg, is in charge of arrangements. BOWMAN -- Ruby D. Natt, 86, of Bowman, passed away Wednesday, Feb. 6, 2019, at her residence. The funeral service will be announced at later time. Funeral services are entrusted to Brown & Son Funeral Home, 5901 West Jim Bilton Boulevard, St. George, SC 29477 843-563-4332). OLAR -- Caitlin Brodus, 4, of 135 Whirlwind Road, Olar, died Wednesday, Feb. 6, 2019, at the Regional Medical Center, Orangeburg. Funeral services will be announced at a later date by the Denmark Chapel of Carroll Mortuary. Friends may call at the residence. ORANGEBURG – The funeral for Mr. Eddie Lee “Mudge” Jamison, 90, of 198 Maxcy St., Orangeburg, will be held at 11 a.m. Saturday, Feb. 9, 2019, at Old Mount Zion Baptist Church, 228 Maxcy St., Orangeburg, with the Rev. Lewis A. Grant, pastor, officiating. Burial will be in Fort Jackson National Cemetery, 4170 Percival Road, Columbia. The casket will be placed in the church an hour prior to the service. Mr. Jamison passed away at his residence Saturday morning, Feb. 2, following an extended illness. Friends may call at the residence, 198 Maxcy St., Orangeburg, and at Bethea's Funeral Home. ORANGEBURG -- Frank Dennis "Dean" Braxton, 80, of Orangeburg, passed away in the early morning of Thursday, Feb. 7, 2019. A graveside service will be held at noon Saturday, Feb. 9, at Memorial Park Cemetery in Orangeburg. A visitation will be held from 5 to 8 p.m. Friday, Feb. 8, at Thompson Funeral Home Inc.
Pallbearers will be Cody Braxton, Justin Jennings, Ben Headden, Brad Morton, Logan Evans and Brent Ridgway. Mr. Braxton was born on Dec. 11, 1938, in Union. He was the son of the late Frank Braxton and the late Carrie Braxton. He was predeceased by the love of his life, his wife of 49 years, Patsy Ruth Griffin Braxton; brothers, Maurice Brock, Jerry W. Braxton Sr.; sisters, Nancy Browning, Sandy F. Childers, Susan E. Harris; granddaughter, Michaela J. Johnston; and his great-granddaughter, Chloe Grace Crider. He is survived by six daughters, Donna B. Milikin (Andrew) of Columbia, Denise B. Spires (Michael) of Cope, Stephanie “Renay” B. Evans (Robbie) of Cope, Kimberly B. Johnston (Michael) of Cope, Melissa Fields of Orangeburg, Karen B. Moore (Steve) of Myrtle Beach; brothers, Thomas D. Braxton (Pat) of Greenville, Tenn., Bruce L. Braxton (Beverly) of Union; sister, Mary B. Odell of Myrtle Beach; 13 grandchildren; 18 great-grandchildren; and a number of nieces and nephews. Mr. Braxton enjoyed bowling, Disney movies and tinkering. He was a retired tool-and-die mechanic. He worked at Utica Tool, Wilbert Plastics and Triangle Allstar Bowling Lanes in Orangeburg. Friends may call at the residence of Denise and Michael Spires, 139 Brentnlaw Lane, Cope. Memorials may be made to the Ronald McDonald House, 81 Gadsden St., Charleston, SC 29401. CORDOVA -- Clyde Ellis Barger Jr., 52, of Cordova, passed away Wednesday, Feb. 6, 2019. He was born in Canton, Ohio, son of Clyde Ellis Barger Sr. and Shirley Ann Beardmore Barger. Funeral services will be held at 2 p.m. Sunday, Feb. 10, at Dukes-Harley Funeral Home Chapel, with the Rev. Thomas Brookshire officiating. Burial will follow in Memorial Park Cemetery. Clyde was a 20-year veteran of the U.S. Navy, having served in Desert Storm, Desert Shield and Operation Desert Fox, and was employed by Saddle Creek Logistics. Survivors include his two daughters, Barbara J. Barger and Taylor Ann Barger; and his brother, Randy Lee Barger. SPARTANBURG -- Anne Murray Wallace, 97, of Spartanburg, died Thursday, Feb. 7, 2019, at her home. A native of Holly Hill, she was the daughter of the late John Hutto Murray and Mattie Lee Smith Murray, and the wife of the late William Andrew Wallace, MD. Mrs. Wallace was a graduate of Columbia College. She was an active member of Trinity United Methodist Church and was involved in many social and community activities during her lifetime. Survivors include three daughters, Angie Murray Wallace, Martha Wallace Blackman (Clarke) and Sarah Wallace Galloway (Sam), all of Spartanburg; six grandchildren, William Andrew “Andy” Wallace Lancaster (Beth) of Spartanburg, Eve Lancaster Panza (Matt) of Atlanta, Martha Wallace Blackman of New York, N.Y., Porter Clarke Blackman Jr. of Spartanburg, Sadie Galloway Wootten (Jeremy) of Cullman, Ala., Annie Murray Galloway, DVM, of Fort Collins, Colo.; five great-grandchildren; and son-in-law, John Scott McWalter Jr. of Greensburg, Pa. In addition to her parents and husband, she was predeceased by a daughter, Elizabeth Wallace McWalter; and a grandson, John Scott McWalter III. A service honoring her memory will be conducted at 2 p.m. Saturday, Feb. 9, at Trinity United Methodist Church, 626 Norwood St., Spartanburg, SC 29302, by the Rev. Neal Y. Woods. The family will receive friends immediately following the service. The family requests, in lieu of flowers, memorials be made to Trinity United Methodist Church Foundation, 626 Norwood St., Spartanburg, SC 29302, or a charity of one's choice. BOWMAN -- Bernice B. Washington, 93, of Bowman, passed away on Saturday, Feb. 2, 2019. Funeral services will be held at 11 a.m. Saturday, Feb. 9, at Mount Olive AME Church, Old State Road, Holly Hill. The casket will be placed in church at 10 a.m. Burial will be held in St. Stephens Cemetery. Brown & Son Funeral Home, 5901 West Jim Bilton Boulevard, St. George, SC (843-563-4332), is in charge of arrangements. Burial will follow in Belleville Memorial Gardens, with full military honors. The body will be placed in the church one hour prior to service. Mr. Edwards passed away on Tuesday, Feb. 5, at his residence. Visitation will be held from 11 a.m. to 8 p.m. Friday, Feb. 8. Friends may call the residence of his wife, Mrs. Rosalind B. Edwards, 626 Mimosa Drive, Orangeburg, between the hours of 3 and 8 p.m. daily, or Simmons Funeral Home and Crematory of Orangeburg. ORANGEBURG – The funeral for Ms. Ella Louise Farmer, 76, of 1120 Wolfe Trail, Apt. 220, Orangeburg, will be held at 11 a.m. Saturday, Feb. 9, at Glover's Funeral Home Chapel, with Bishop Isiah Moultrie officiating. Burial will be in Moultrie-Phillip Cemetery. She died Sunday, Feb. 3, at her residence following an extended illness. Viewing will be held from 3 to 8 p.m. Friday, Feb. 8. Friends may call at the residence of her daughter, Betty Jones, 977 Bull St., Orangeburg, and Glover's Funeral Home. NORTH -- The funeral service for Ms. Josephine Rowe, 68, of 179 Cookrowe Lane, North, will be held at noon Saturday, Feb. 9, 2019, at Jerusalem Baptist Church, 7134 North Road, North, with Pastor Monroe Danley Jr. officiating. Interment will follow in the church cemetery. Ms. Rowe will be placed in the church an hour prior to the service for viewing. Ms. Rowe passed away on Saturday, Feb. 2. Viewing will be held from 2 to 7 p.m. Friday, Feb. 8, at W.B. Crumel Funeral Home of North. ST. GEORGE -- Funeral services for Samuel McKinney, 83, of St. George, will be held at noon Saturday, Feb. 9, 2019, at St. Mark Baptist Church, St. George, with the Rev. Washington officiating. Visitation will be held from 2 to 8 p.m. Friday, Feb. 8, at the funeral home. The family will receive friends from 7 to 8 p.m. Friends may call at the residence, 258 Oakland Road, St. George, or Stevens Funeral Home. BAMBERG -- Ellanora Barnwell, 80, of 107 Capernaum Road, Bamberg, died Thursday, Feb 7, 2019, at her residence. Funeral services will be announced at a later date by Carroll Mortuary of Bamberg. Friends may call at the residence. ORANGEBURG – Funeral services for Mr. Enoch Pam Jr., 64, of 1224 Sunrise Lane, will be held at 1 p.m. Friday, Feb. 8, 2019, in the Glover's Funeral Home chapel, with Elder John Mosely officiating. Mr. Pam died Friday, Feb. 1, at the Regional Medical Center following a brief illness. Friends may call at the residence from 2 to 9 p.m. daily and at the funeral home. ORANGEBURG -- Mr. Gregory L. Edwards, 60, of 626 Mimosa Drive, Orangeburg, passed away on Tuesday, Feb. 5, 2019, at his residence. ORANGEBURG -- Solomon Ryant, 62, of 899 Bryant St., Orangeburg, died Tuesday, Jan. 29, 2019, at MUSC, Charleston. Friends may call at the residence of his cousin, Ms. Greta Fraizer, 160 Bruce St., Orangeburg, and at Bethea's Funeral Home. The family will receive friends at the residence by noon Friday, Feb. 8. ORANGEBURG -- Mary Frances Mulanax, 49, of Orangeburg, passed away Wednesday, Feb. 6, 2019. Ms. Mulanax was born Dec. 31, 1969, in Groom, Texas. She was the daughter of the late Ellis Ray Mulanax and the late Mary Cathrine Shipman Watson. She was a member of Providence Baptist Church in Orangeburg. Survivors include her son, Jerad Mulanax; her daughter, Bethany Palmer; three grandchildren, Jaymie Mulanax, Jaylen Mulanax and “Baby Boy” Mulanax, who will be arriving in August 2019; sisters Kimberly Simonson (Mike) and Kathryne Bailey (Robert); brothers Gene Blakley (Tracey), Ellis “Bubba” Mulanax (Jodi) and David Watson; stepmother, Nancy Mulanax; and a number of nieces and nephews. Friends may call at the residence of Chris and Wendy Johnson, 192 Rutledge St., Orangeburg, or at the residence of Kimberly and Mike Simonson, 95 Burke Road, St. Matthews. HOLLY HILL -- James Barnes Jr., 77, of Hollow Way Court, departed this life Saturday, Feb. 2, 2019, at Doctor's Hospital, Augusta, Georgia. Services will be held at noon Friday, Feb. 8, at Target AME Church, Holly Hill. The final resting place will be in Target-Bethel Cemetery, Holly Hill. Friends and family may call and visit the residence of Nathaniel Moore, 514 Boyer Road, Holly Hill, or call Eutawville Community Funeral Home. ST. GEORGE – The funeral service for Mrs. Pauline Chandler Bryant, 88, of St. George, will be held at 11 a.m. Friday, Feb. 8, 2019, at Bethel Missionary Baptist Church, St. George, with the Rev. Terry Parler officiating. Friends may call at her residence at 743 Second Texas Road, St. George, or the funeral home. Online condolences can be made at www.Stevensfh.net. Valarie Denise Parker -- Portsmouth, Va.
PORTSMOUTH, Va. -- Funeral services for Valarie Denise Parker, 55, of Portsmouth, Va., and a native of Orangeburg,will be held at 1 p.m. Thursday, Feb. 7, 2019, at Calvary Evangelical Baptist Church. She was the wife of James Parker, daughter of Clemond and Charelse Whaley, and is survived by a host of other relatives and friends. Fisher Funeral Home, 1520 Effingham St., Portsmouth, Va., 23704 (757-399-6366, www.fisherfuneral.com). CROSS -- McKinley Spann, 75, of 507 McKinley Drive, Cross, died Wednesday, Feb. 6, 2019, at his residence. Friends and family may call and visit the residence or call the funeral home. Visit our website www.eutawvillefuneralhome.com. Feb. 5, 2019, at Pruitt Health of Orangeburg. A graveside service will be held at 11 a.m. Friday, Feb. 8, in the Pleasant Hill Baptist Church cemetery, 150 High Cotton Lane, Springfield. The Rev. Tant Ehrhardt will be officiating. Pallbearers will be Kenny Craig, Billy Browning, Austin Craig, Joseph Craig, Justin Browning, Bryan Zeigler, Joe'L Browning and Brielle Zeigler. She was born March 7, 1934, in Orangeburg County, the daughter of the late Jessie Abbott Sr. and the late Lizzie Bolin Abbott. She was retired from U.S. Plywood and had worked at Ace Hardware. She was a member of the Orangeburg County Council on Aging. Survivors include two daughters, Diane W. Bell (Donnie “Boot” Bell) of St. Matthews and Teresa Moore of Orangeburg; two sisters, Lois Barr of Springfield and Louise Rollins of Newberry; two grandchildren, Terrie and Kenny Craig and Amanda and Billy Browning; four great-grandchildren, Joe'L Browning, Austin Craig, Joseph Craig and Justin Browning; a great-great-granddaughter, Brielle Zeigler; and a number of nieces and nephews. A visitation will be held from 6 to 8 p.m. Thursday, Feb. 7, at Thompson Funeral Home in Orangeburg. Friends may call at the residence of Teresa Moore and at the funeral home. Timmy Barr, 7737 Neeses Highway, Springfield, SC 29146. Mrs. Rose was devoted to her faith, her family and friends and never met a stranger. ORANGEBURG -- Mr. Emory Fletcher Connelly, 87, passed away on Tuesday, Feb. 5, 2019. Funeral services will be held at 2 p.m. Sunday, Feb. 10, at Northside Baptist Church, 1250 Columbia Road, Orangeburg. Burial will follow at Crestlawn Memorial Gardens. Dr. Shane Stutzman will be officiating, directed by Thompson Funeral Home in Orangeburg. Mr. Emory was born on Aug. 5, 1931, in St. George. He was the son of the late Julius E. Connelly and the late Mary Louise Weathers Connelly. He served in the United States Army National Guard. Mr. Emory retired from Santee Cooper after 37 years, where he started as a lineman and worked his way to district supervisor. He was a member of Northside Baptist Church and the Cornerstone Sunday School Class. He was also a member of the Masonic Lodge # 357. He was predeceased by a brother, Jerome Connelly, and a son-in-law, Mike Creech. Survivors include his wife of 65 years, Thelma Ayers Connelly; children, Jane Teague (John) of Orangeburg, Sue Creech of Orangeburg, Rodney Connelly (Cindy) of Cope, Wes Connelly (Dr. Karen) of Orangeburg, Emory Connelly (Jill Duke) of Easley; 13 grandchildren; 15 great-grandchildren; sisters, Barbara Kizer, Mary Ellen Wimberly, Dixie Whetsell; brother, Robert Connelly (Mildred); sister-in-law, Bonnie Connelly; and a number of nieces and nephews. CORDOVA -- Emma “Louise” Porter, 91, of Cordova, passed away Monday, Feb. 4, 2019, at the Regional Medical Center in Orangeburg. Funeral services will be held at 12:30 p.m. Thursday, Feb. 7, at Wesley Grove United Methodist Church, 515 Wesley Grove Road, Cordova. The Rev. Lois Helms will officiate, with the service directed by Thompson Funeral Home Inc. in Orangeburg. Mrs. Louise was born Aug. 10, 1927, in Columbia, Richland County, and was the daughter of Roy J. Denton (Vennie Mae). She was the widow of the late Paul H. Porter. Louise was a member of Wesley Grove United Methodist Church, Cordova, and was retired from Orangeburg County Health Department and tRMC after 40 years of service. Survivors include children, Larry Porter (Claire), Paula Easterling (Don), Pamela Porter and Joy Porter; grandchildren, Brandon Porter, Erik Porter (Amanda), Joseph Easterling, Karen Goode, Matthew Easterling (Camille), Autumn Davis (Josh), Fred Hutto (Taylor) and Katherine Brown (Jacob); great-grandchildren, Addison Porter, Ada lynn, Olivia and Ian Porter, Andrew and Cameron Goode, Paisley Easterling, Landon, Bailey Rae and Charleigh Davis, Jones and Emma Hutto, and Trenton Brown; a special niece, Brenda Williams; and close friends, Peggy Smoak and Devon Brant. Friends may call at the home of Larry and Claire Porter. Memorials may be made to Wesley Grove United Methodist Church, P.O. Box 175, Cordova, SC 29039. The family wishes to express their gratitude to the staffs of the Oaks Pace Center and Senior Solutions. CORDOVA -- Justin William Fogle, 22, of Cordova, passed away Sunday, Feb. 3, 2019. The family will receive friends from 2 to 3 p.m. before the service. A memorial service will be held at 3 p.m. Friday, Feb. 8, at St. George Baptist Church in Orangeburg, with the Rev. David Anderson and the Rev. Danny Fogle Jr.
Thompson Funeral Home Inc. in Orangeburg is in charge of arrangements. He was born May 25, 1996, in Orangeburg, the son of David Fogle Sr. and Patricia White Fogle. He was employed by Culler Builders as a construction worker. He was preceded in death by his grandmother, the late Betty White; and his grandfather and grandmother, the late Dan and Vivian Fogle. Survivors include his mother, Patricia Fogle of Cordova, and his father, David Fogle Sr. of Orangeburg; a brother, David Zachariah Fogle Jr. of Cordova; a sister, Tabitha Annetta Fogle of Cordova; a step-sister, Tanya Weeks; four children, Genisis Fogle, Kaislee Fogle, Landon Fogle and Jax Fogle; maternal grandfather, Harold White of Orangeburg; uncles, Harold White Jr. and Tonya, Danny Fogle Jr. and Karen, Dennis Fogle and Nina; aunt, Julie Spells; cousins, Brandi White, Sawyer Stone, Kara Stone, Jonathan Johnson and Jennifer Clark; numerous other cousins; best friends, John Lee, Sawyer Stone, Justin Till, Amber Hughes and Stacy Brickle; great-uncle, Virgil Bagwell and Darlene. Friends may call at the residence of his sister, Tabitha Fogle, 138 Buster Lane, Cordova; the residence of his mother, Patricia Fogle, 120 Eagle Run Road, Cordova; or the residence of his father, David Fogle Sr., 1136 Hickory Hill Road, Orangeburg. In lieu of flowers the family requests that memorials be made to Thompson Funeral Home Inc., 1012 Whitman St., Orangeburg, SC 29115. ST. MATTHEWS -- Mrs. Sadie F. Infinger passed away to be with her Heavenly Father on Sunday, Feb. 3, 2019, after a short battle with brain cancer. She is now walking on the shores of Heaven with Jesus. Funeral services will be held at noon Wednesday, Feb. 6, at First Assembly of God Church, 1176 Calhoun Road, St. Matthews. Burial will follow in the church cemetery. The Rev. Mark Call and the Rev. Henry Cooper will be officiating. The family will receive friends from 11 a.m. to noon, prior to the funeral service. Benjamin Johnson Jr. -- Milledgeville, Ga.
MILLEDGEVILLE, Ga. -- Mr. Benjamin Johnson Jr., 80, of Milledgeville, Georgia, passed away Monday, Feb. 4, 2019, at his residence. Friends may call at Simmons Funeral Home and Crematory of Orangeburg. BOWMAN -- Willie Laval, 68, of 631 Avens Court, died Monday, Jan. 4, 2019, at the Regional Medical Center, Orangeburg.